It’s interesting the things that pop up on my Facebook time line. Although I have studied the bible and other religions, I’m not a follower of organized religion, in this case, Christianity and so I’m not drawn to bible thumpers and the Church or Jesus saves sales pitch. But this talk interested me and I was curious as to what he had to say. At around the 2:20 min mark he states that the Mark of the Beast is not a physical thing, but rather, it’s the LOVE and TRUTH (NOT religion – my comment) that you carry in your Heart. While those with the Mark of the Beast have unloving INTENT and heartlessness, aka DENIAL. It makes a lot of sense and was a concept I never considered before. 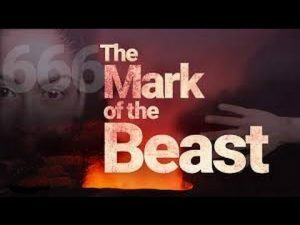 Everyone already has the Mark of the Beast as they live their lives in various forms of denial. Everyone also has choice; whether to carry on living in denial, or, to end ones denials and live in truth. You don’t need to be a Christian or follow any other religion to have a loving Heart. There are part-truths in all religions and one must gleam the wheat from the chaff to feel the meaning of the WORD. Let those that have eyes to see and ears to hear know the truth. This entry was posted in Anger - Rage, Body, Denial, Earth Changes, Fear - Terror, Feelings - Emotions, Heart - Heartbreak, Imprint-programs-beliefs, Life - Death, Love - Conditional, Love - Unconditional, Media - Internet, New Age, Politics - Government, Religion, Science - Technology, Self-Empowerment, Society - Culture, Soul (Will) - Intuition-feelings-emotions, Spirit - (Mind) Thoughts - ideas and tagged bible, Christian, denial, love, Mark of the Beast, religion, truth by johnrieger. Bookmark the permalink.